Living in a comfort zone is like being under the influence of a potent drug. Not the kind which makes you high or groggy, but one which prevents breaking the status quo. Businesses stick to their tried-and-tested model, hoping that what worked for them in the past twenty years will see them through the next thirty. This approach is predictable, and most of the time it works out very well. This is true of most running shoe brands, one way or the other. Nike can’t get past its ‘let’s build and hype the shiniest thing possible and sell it for $$$’ approach. In doing so, their low and mid-priced products aren’t given the attention they deserve. adidas can’t stop making narrow-fitting shoes with weird plastic bits and no widths. Hoka struggles to build anything other than its foam monoliths. 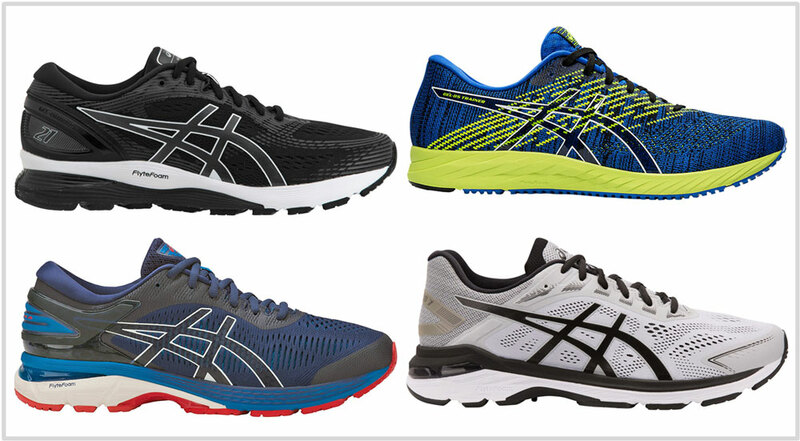 When you look at Asics’s and Mizuno’s running shoe line, one almost feels their pain. The pain of having to leave behind their 12-ounce Gel-Trusstic-Guidance Line legacy behind to compete with the new world. A world where cushioned running shoes weigh less than 8 ounces and lasts forever. Even this guide has at least four shoe names with the suffix ’20’ in them. In plain English, these models have been around for at least two decades. Asics is a baby-boomer and not a millennial. Its safe path has led it to $3.5 billion in global revenues, but its sales are waning worldwide. In mature markets like North America, sales dropped by 15% – which is huge. Other territories saw lower sales as well. In our opinion, sticking to a safe product line isn’t a problem. Lots of consumer durable brands follow this strategy with great success. As long as Asics gradually improves its core line, it remains a safe refuge for runners who do not appreciate the fickle nature of shoe updates. Within the running shoe industry, Brooks executes this safe business model very successfully. They generate half a billion dollars of revenue just by selling 11-ounce Glycerins, Ghosts, and Adrenalines. Brooks running shoes are not the latest and greatest, but stay very consistent in whatever they do best. If Asics had done the same, they would be in a very good place. But Asics is confusing change with improvements. Not all changes are necessarily for the better. Asics tried once to force-fit ‘newness’ into their line many years ago. The resulting 33-series was very unremarkable and forgettable. This time is no different. Even venerable old-timers such as the Nimbus and Kayano are not safe from Asics’s misguided attempts to ‘improve’ their core models. For example, plugging Flytefoam into everything isn’t the answer. Nor does making the upper narrow do any favors for Asics loyalists. The Nimbus does not need the Flytefoam; it needs to return to the soft, pillowy experience. Even the Metaride is a Metarun redux. 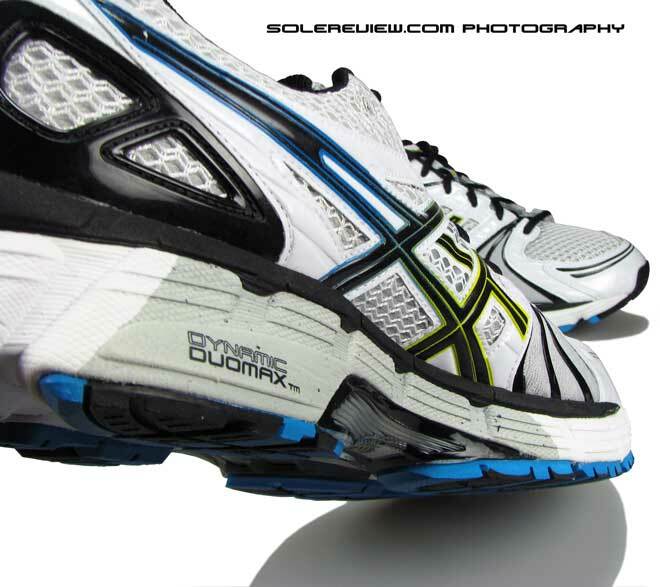 A similar upper built on a recognizable Asics design template. A layered midsole with a modified Gel and toe-spring. Rather than stepping into uncharted territory, ‘new’ Asics shoes merely amplifies what already exists. The brand is using its storied legacy as a crutch and not a foundation. And firing their CEO of North America is like remedying the symptom instead of the cause. No amount of CEO changes in a local market can fix a stiff ride and a narrow toe-box. And you thought that today was all about best Asics running shoes? Good luck with that. We’ll try our best not to sound too cynical though. We’ve prefixed the shoe models with the various categories they represent. If you’re an Asics loyalist, you’ll recognize most of these names. Except for the Roadhawk FF, these models have been around for many years. This is purely relative, but the Nimbus 21 is an improvement over the last couple of versions. The toe-box is similar to the 20 but roomier than the 19. The 21 isn’t exactly the softest Nimbus – the firm Flytefoam ensures that. Asics sticks everything from its component and material library on the Nimbus. The mesh and lining feel plush, and the external heel has a supportive plastic clip. The upper is very comfortable and worthy of its $150 retail price. We like what Asics has done with the forefoot outsole. The Guidance Line no longer splits the outsole into two, thus eliminating the lumpy feel of the earlier models. The 11-ounce Nimbus 21 is a decent daily trainer. It works for longer runs too, except that there are superior alternatives from other brands. The Cumulus is a simplified Nimbus with fewer bells and whistles. It is lighter and cheaper than the Nimbus so it is a better choice for a lot of runners who like the Asics ride quality but want a lower price and weight. We also see the Cumulus as more versatile than the Nimbus. It is an ounce lighter so you carrying a lot less shoe than the Nimbus during your runs. The Dynaflyte 3, along with the DS Trainer, is one of the more sportier Asics running shoes. Making that happen is a full-length Flytefoam midsole with a firm ride and a snug upper fit. At 9-ounces, this isn’t the lightest in its class. Nonetheless, the Dynaflytes works very well as a daily runner or tempo running shoe. The Roadhawk FF is a recent addition to Asics’s running shoe line – it’s been around for less than two years. The Roadhawk FF 2 is as non-Asics as it can get; a single-density Flytefoam midsole is attached to a no-frills mesh upper with a nice fit. The midsole offers distraction-free cushioning for a wide range of runs. It’s not too firm nor soft – in a way, the Roadhawk is a Brooks Launch equivalent but a mite softer. With a retail sticker of $100, the Roadhawk FF 2 is reasonably priced too. You have to be living under a rock if you haven’t heard of the Kayano before. This is the longest continuing shoe series with a firmer medial post. The midsole wedge design isn’t in-your-face kind like it once used to be. But the Kayano 25 does have a slight motion-control quality associated with shoes of this class. The ride is firm and the upper is plush like the Nimbus – thankfully, the toe-box isn’t as shallow as the 22 and 23. 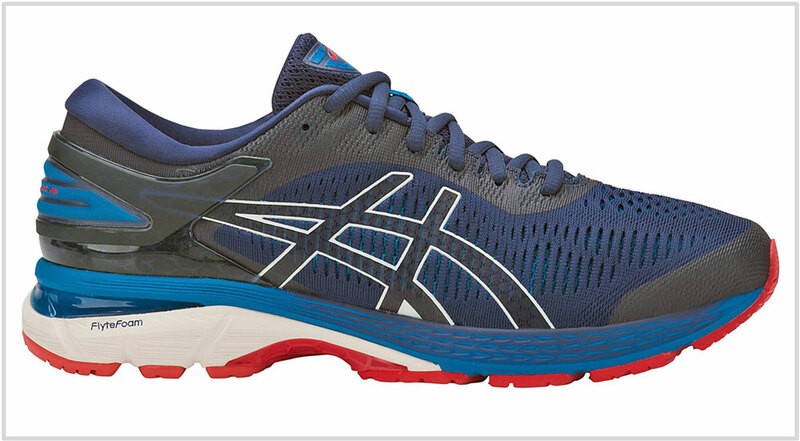 What the Cumulus is to the Nimbus, the GT-2000 7 is to the Kayano. The GT 2000 7 is a part of Asics’s motion-control line-up, except that there’s slightly less of everything versus the Kayano. That’s not a bad thing; being an ounce lighter makes the GT-2000 more agile and versatile. 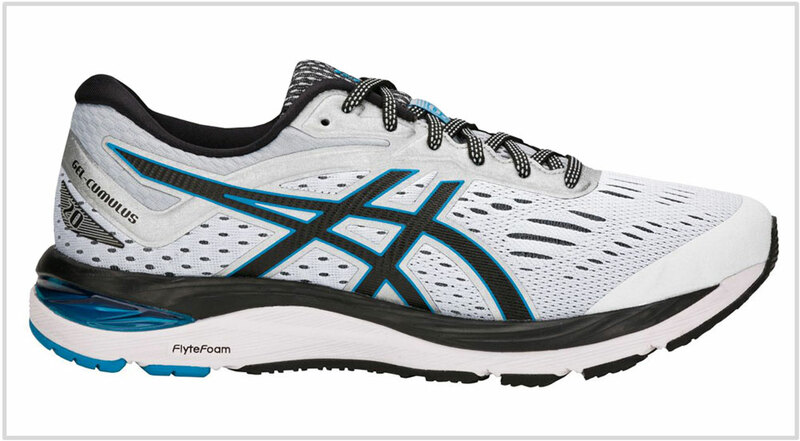 Unless you really crave the plush interior and softer rearfoot of the Kayano, the GT-2000 makes a good case for itself. It handles daily training and long- distance runs without over-correcting the gait. It’s easy to see why the DS Trainer has been a popular choice for over two decades. The sub-9-ounce shoe is an excellent shoe for fast training. With the latest update, the DS-Trainer 24 turns into a case of win some, lose some. The forefoot outsole loses the Dual-Stenciled lugs and has less bite than the 23. On the other hand, the outsole connects the forefoot and the rear so the transitions are improved. The forefoot also loses the guidance line for better push-off. A tiny wedge of firmer foam is co-molded with the Flytefoam midsole for inner side support. The snug upper acquires modern aesthetics, with Asics adopting a single-piece knit upper for this version. Within the Asics assortment, the Kahana 8 represents good value. This trail-running shoe has an outsole design geared for light trails, and the layered upper helps keep the debris out while providing support. But here’s a disclaimer. Buy the Kahana only if you want to stick to Asics. Else, similarly priced trail shoes from adidas, Nike, and New Balance do a far superior job. The Kahana’s upper materials feel very basic when compared to adidas and Nike. Asics has always made decent, but never great trails shoes. Even the more expensive Fujitrabuco 6 or the BOA lacing equipped Fujirado are lacking in features when compared to the competition. At best, the Kahana is meant for light trails because of its split outsole design. For a little more over the Kahana, the GT-2000 7 trail is also a decent option for mild trails. It has the comfort of the road-going GT-2000 7, but with a slightly grippier outsole.